Wilh. 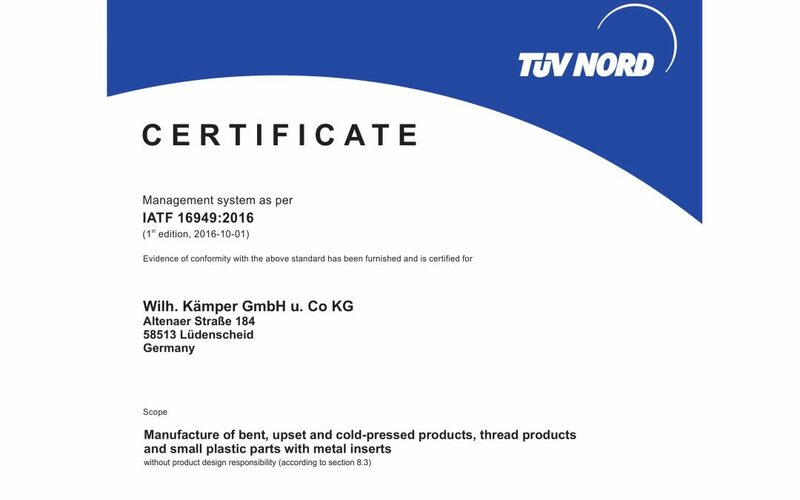 Kämper GmbH u. Co KG is successfully certified according to IATF 16949:2016 since 03. April 2018. You can find the full Certification here.